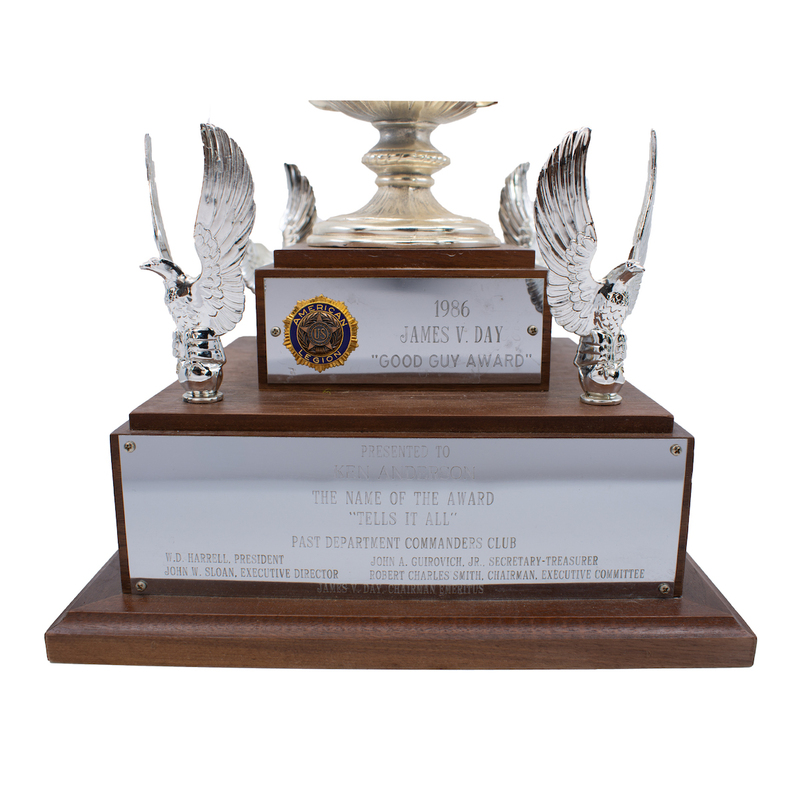 This James V. Day Good Guy Award was presented to Ken Anderson by the Commanders Club. 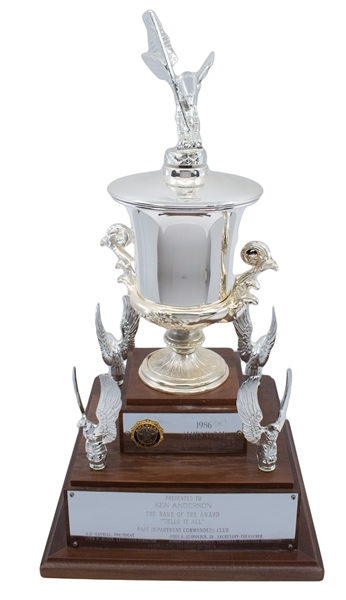 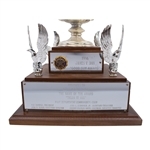 This trophy is granted for exceptional sportsmanship during play and charity work off the field. 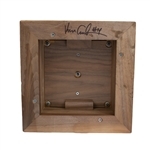 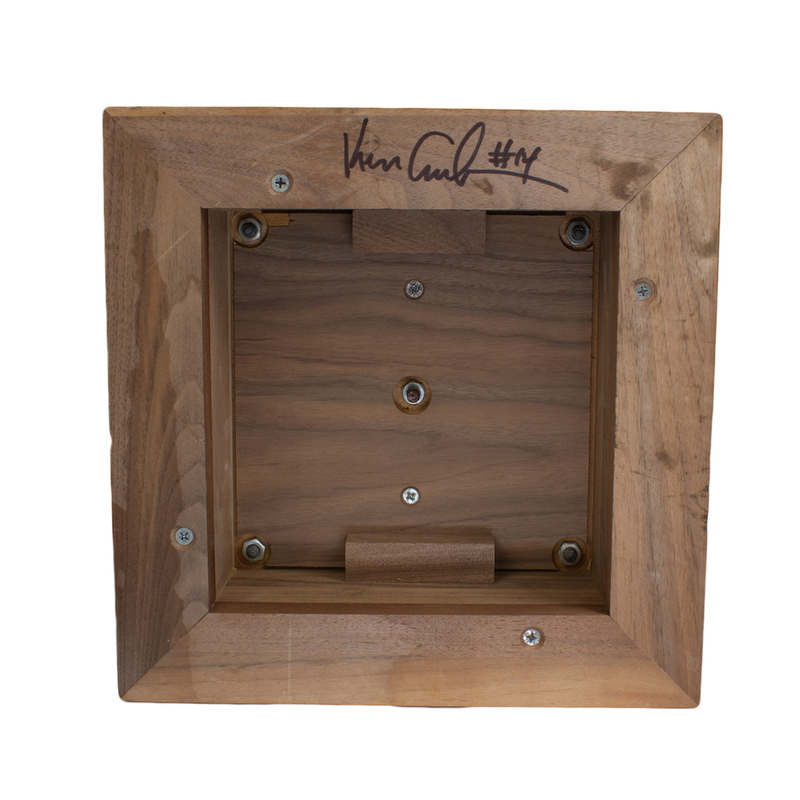 The base of the trophy is signed by Stabler. 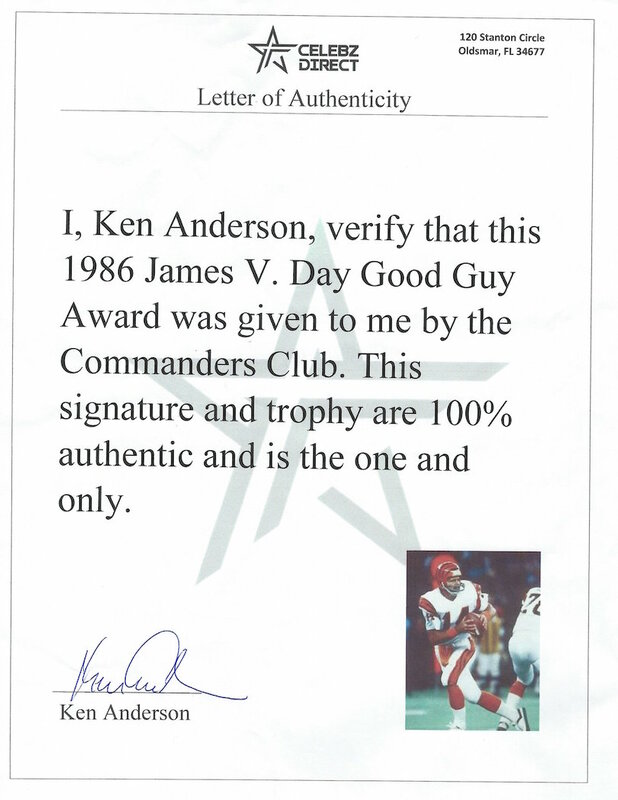 The trophy is accompanied by a signed letter of authenticity from Ken Anderson.